Life will soon return to La Alma-Lincoln Park’s newly renovated Neighborhood House when the Bridge Project after school program moves in early this year. To mark this occasion, I wanted to share a piece of Denver history worth remembering and relate the story of The Neighborhood House Association’s benevolent work here across the creek. We should also take this moment to celebrate the preservation of one of our community’s monuments and welcome a worthy heir to this building’s legacy. In researching my post on Lincoln Park‘s origin, I was getting confused by a mislabeled photo in the library’s archive. A gymnasium is described with a 1253 Mariposa address that places it in the park, but I found no other evidence of it there. 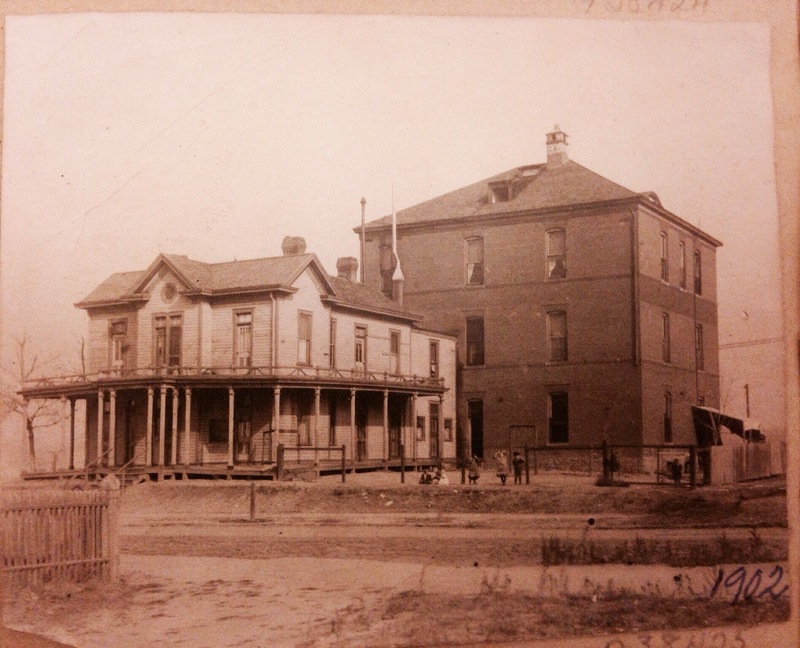 It is clearly not the same Neighborhood House that stands today at the park’s north-east corner. 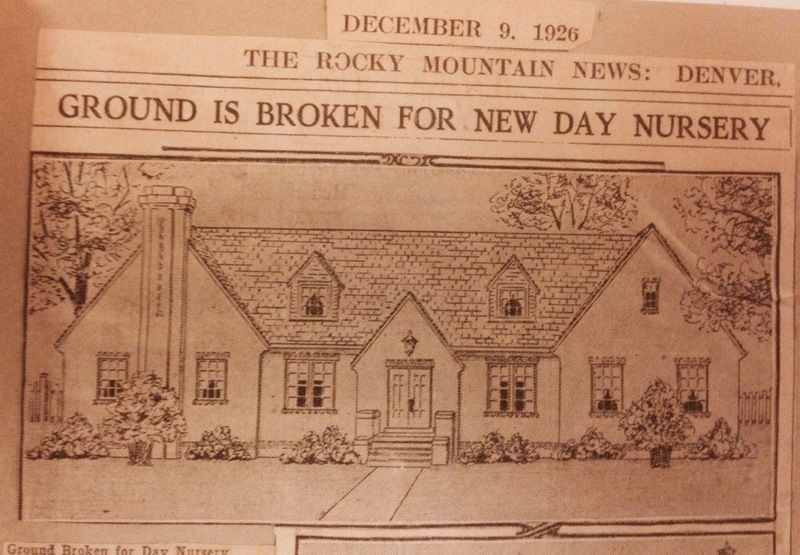 The mystery was solved in special collections with the Neighborhood House Association scrapbook. Credit due to the wonderful staff there that lead me to the discovery, because I actually uncovered a bigger story than I expected. As a student of Public Administration, I was introduced to Jane Adams and Chicago’s settlement houses. It’s a story about civic-minded individuals that sought to offer immigrants assistance in the absence of more formal public institutions. It turns out that Denver’s churches had a similar idea. The Neighborhood House Association was founded in 1902 under the slogan, “Love thy neighbor as thyself.” It was supported by church subscription, The Charity Organization Society, and various fund-raising efforts. West Denver was an obvious location to access the working poor in need. 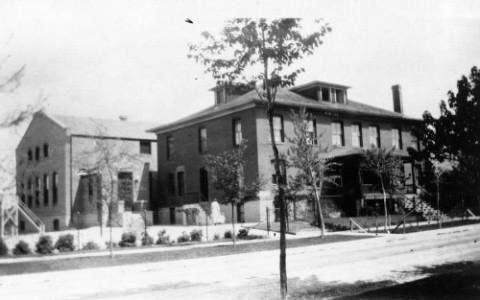 The Association soon replaced the wood house with a two-story brick structure and equipped the campus with a 30 by 40 ft gymnasium, a public library, and living quarters for the resident staff. The demand for affordable daycare for working families was the start and the end for the organization, A working mother could leave a baby in the day nursery for 5 cents, which included a good hot meal. Donated clothing could also be obtained cheaply. Efforts to enrich and engage the community extended to both parents and children of the community. The last Friday of each month brought a neighborhood social with refreshments and music from Denver’s best musicians. A visiting committee called on neighbors. Sunday afternoon hymns were sung in the house. In the fall, a Saturday morning sewing school was well attended by the neighborhood girls. 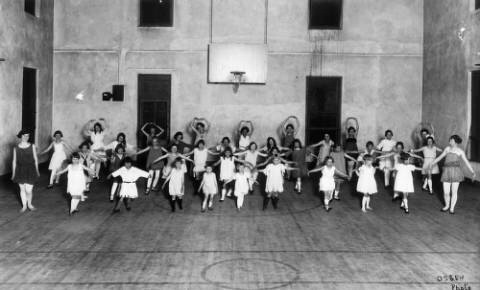 The settlement house also offered classes on English, cooking, and other domestic duties. Children were treated to summer picnics in Morrison and Golden, with occasional trips to the circus, Elitch Gardens, and Lakeside Amusement Parks. 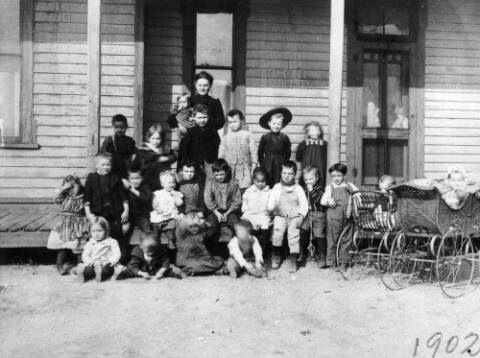 There eventually was a summer camp established in Bailey. The city’s public playgrounds were nearby with ball fields, swings, and sandboxes, while the Neighborhood House grounds offered more swings, teeters, and turning poles. Two kindergarten teachers were employed to watch over the children in both areas. 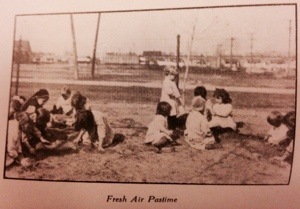 A girls’ play spot had grass and a vine-covered arbor with benches for the mothers to watch. 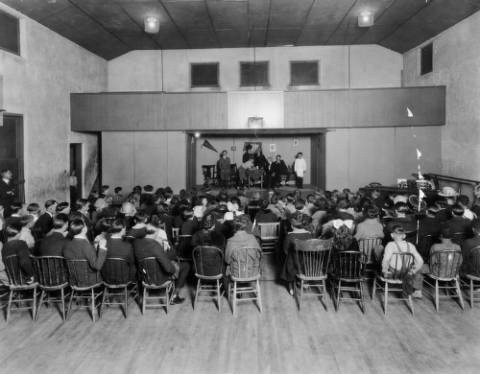 By 1907, the success of the Neighborhood House was demonstrated through lower crime rates, and the Association was asked to run a similar facility in North Denver’s Little Italy neighborhood. Staff and volunteers complied and built on the services offered in the West Side Settlement, such as a dental clinic and numerous boys and girls classes and activities. In 1913, another physical transformation occurred when the Association thriftily converted the four-story building to two. It found better use for the brick with a larger gymnasium. The project also modernized the daycare and community facilities in the remaining two-story structure. A notable fundraising effort was the Baseball Benefits Tournament, played at Broadway Park and remembered for the festive musical programs and society women serving as usherettes. 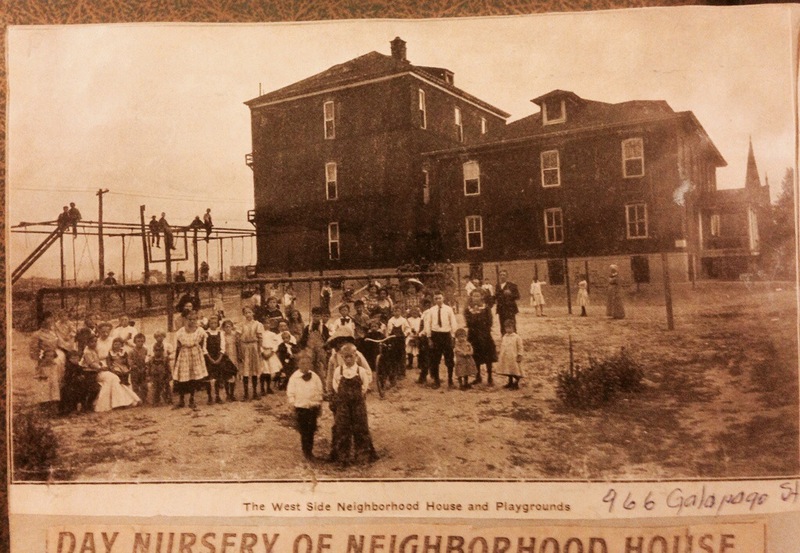 The trend that would eventually cause the demise of the Neighborhood House Association would begin in 1917, when the school board opened an opportunity school in the north side and the Little Italy settlement house closed. As city services improved, the needs once filled by the organization were shifted to other public assistance programs. By 1927, the new West High was built and was encroaching in more ways than one. 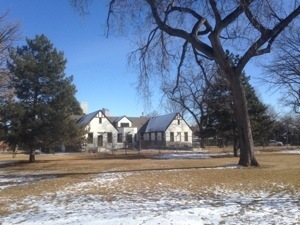 The Neighborhood House land was sold to Denver Public Schools for playgrounds. A temporary day nursery was established at 600 Galapago until the new Lincoln Park day nursery could be constructed. Affordable daycare for working families was still in demand. The daycare duties were delegated to the United Way in the 50’s, but operations were eventually moved elsewhere to more modern facilities. Until the recent renovation, the building had been vacant for years. It should also be noted that the third phase of Denver Housing Authority’s Mariposa redevelopment project will have a Catholic Charities run daycare center. That building is currently under construction nearby at 1oth and Mariposa.